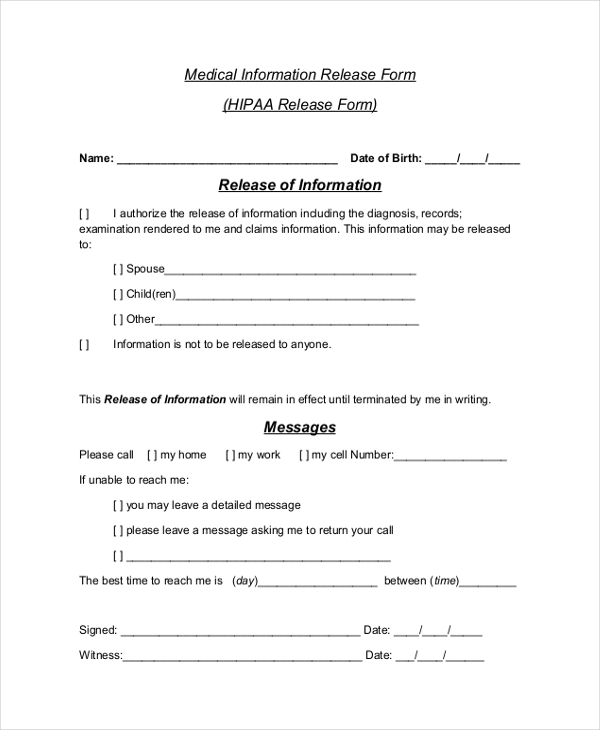 This is the standard format of a HIPAA release form and comprises of all the important segments that should be an essential part of such a form. You can however make changes to this form as per your requirement. This form is used in hospitals and clinics where the doctor may want to discuss a case with other experts. 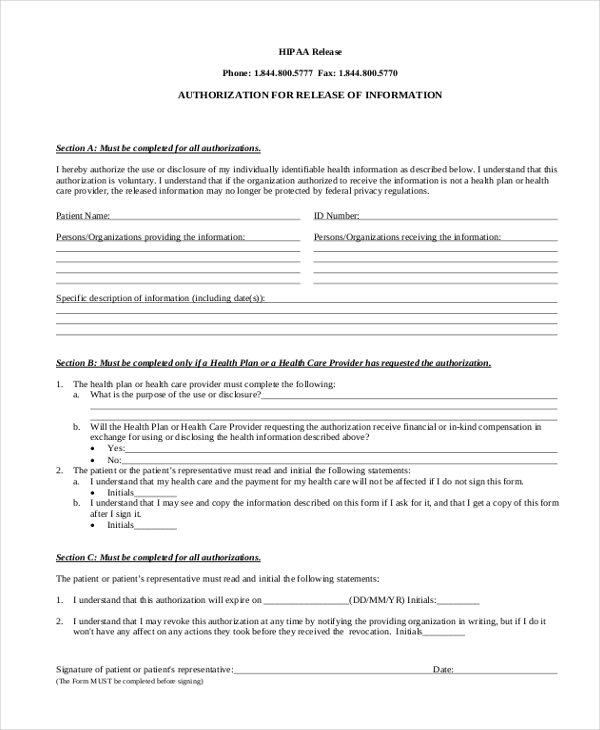 Getting the patient to sign this form gives him a legal permission to disclose and discuss the person’s health details with others. 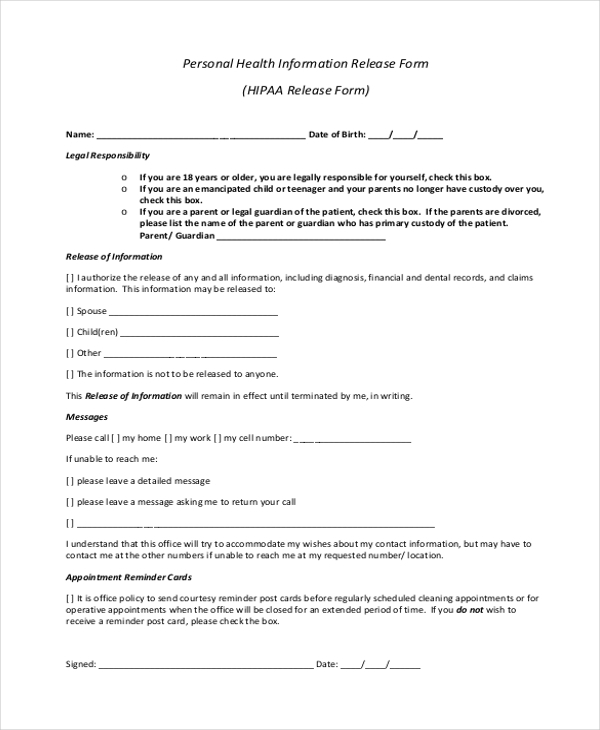 A doctor may ask his patient to sign this HIPAA release form if he deems it necessary to discuss the case details of the patient with some medical expert. Failing to do so may land the doctor in a legal issue. This is a specially designed form that is used by individual medical department. The patient signing this form grants permission to the doctor to disclose his medical condition. This form when signed by a patient allows the medical practitioner to disclose the health details of a patient to others. However, the patient may restrict this disclosure to a selected group of people. 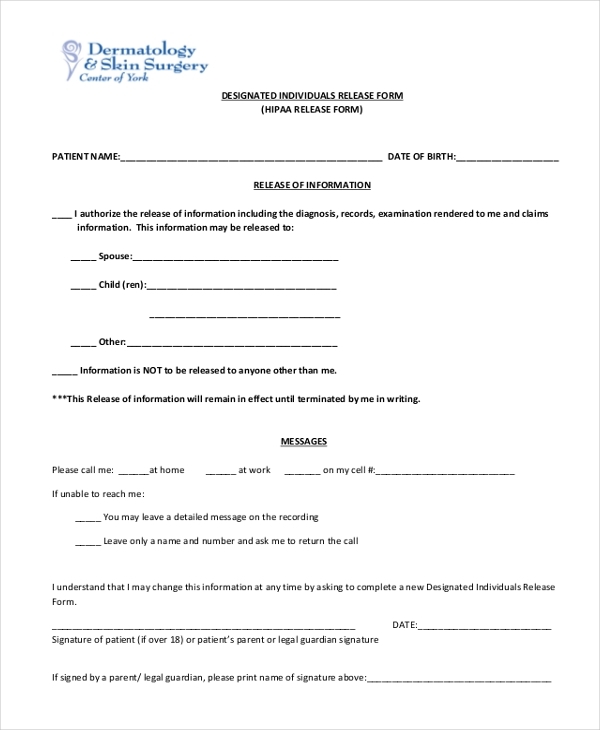 Used mainly in hospitals and private clinics, doctors use this form to secure permission from their patients to disclose their medical information to others, if need be. 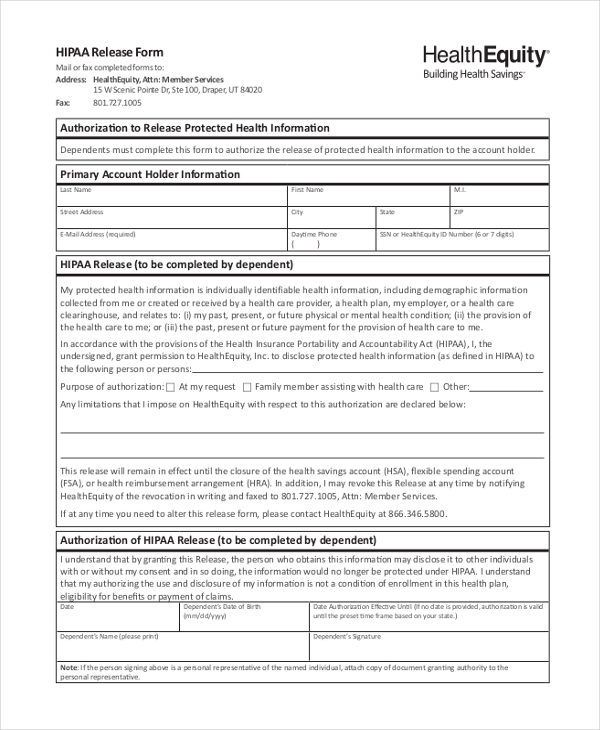 This form is used by a doctor or medical practitioner to gain permission from a patient to allow the usage of certain medical expenditure benefits on behalf of the patient. This usually happens when the patient may be expected to be comatose for long. Used by dentists, this form helps them to secure permission from their patients to disclose the dental health details to other members of their family or to discuss these with other doctors. This form is used in a hospital or clinic to get the permission of a patient to disclose certain information about his/her health. This form allows the patient to choose the information that could be disclosed. 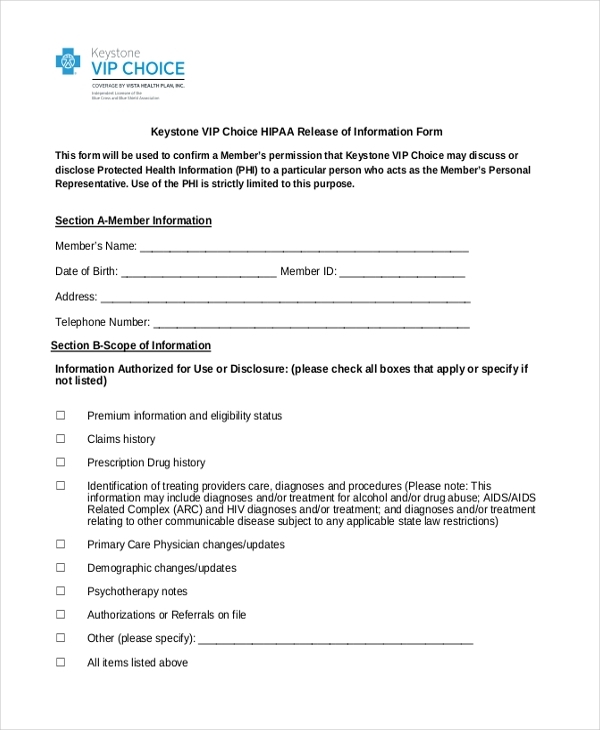 By signing this form, a patient authorizes a medical practitioner or doctor to disclose and discuss the details of his case with his family, friends and other medical experts. 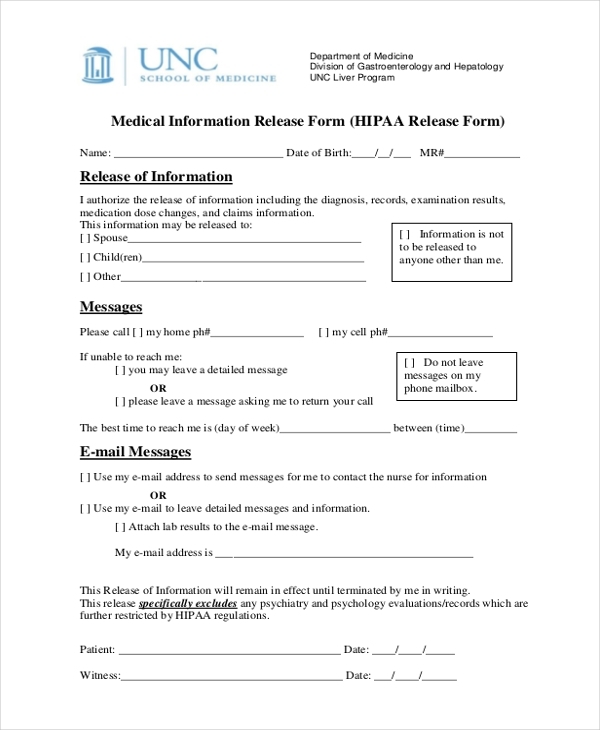 Why Should One Use a HIPAA Release Form? 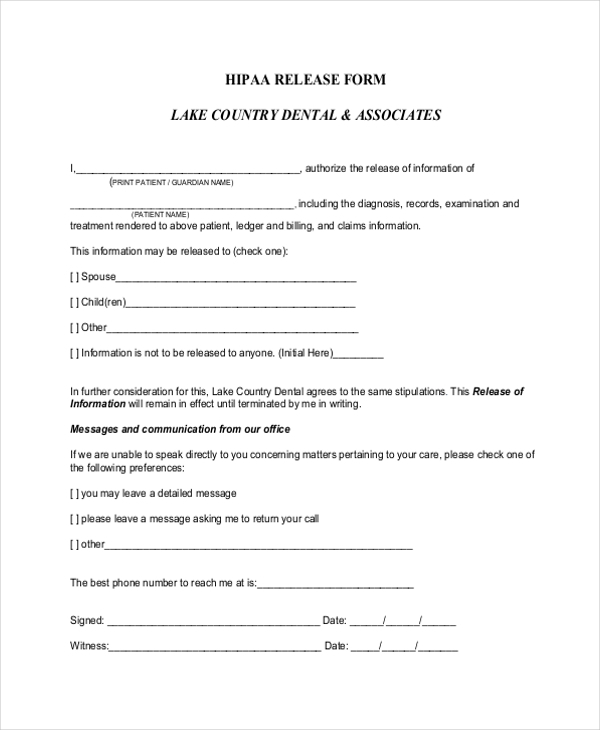 What are the Benefits of Using a HIPAA Release Form? If a doctor or a medical institution discloses the details of a patient’s ill health without his prior consent, they actually go against the law and may be liable to be tried in court. However, using a HIPAA release form helps them to get a legal permission from the patient to discuss his health details with others and thus, saves them from a lawsuit. 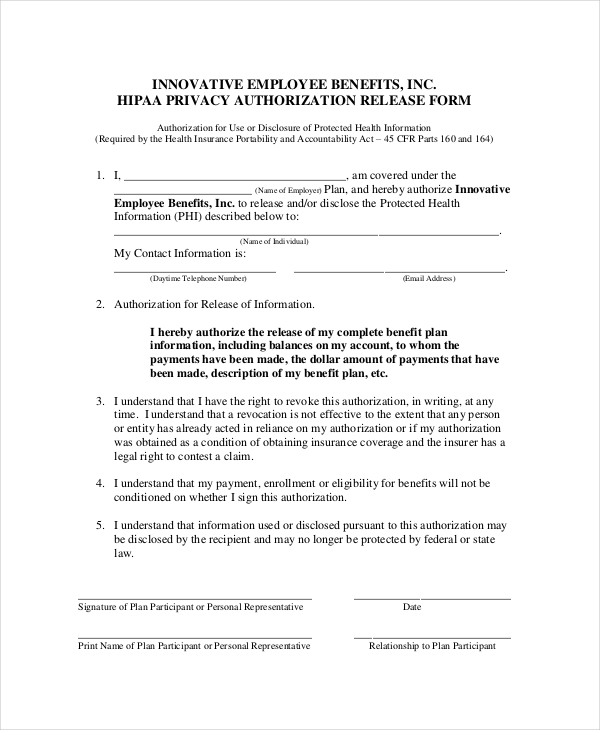 The HIPAA release form offers both the parties a platform to set some ground rules that both the parties should follow. The HIPAA release form is considered to be a viable proof and come in handy in case of a legal hassle. 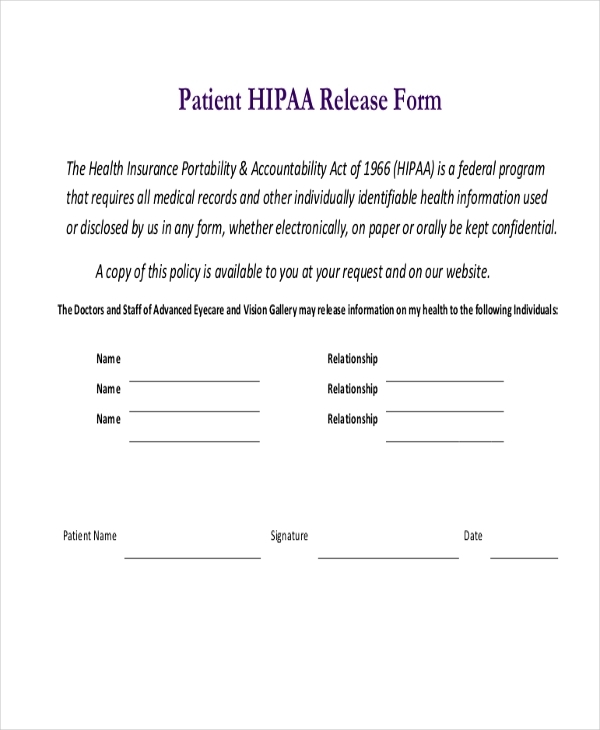 How Can You Design an Efficient HIPAA Release Form? Designing a HIPAA release form is easier said than done and you may need the help of an expert to do this. However, if you are in a rush, you can surely go ahead and download and HIPAA release form. With a wide range of these forms available online, finding one that is perfect for you would not be tough. These forms are easy to customize and are ready to be printed.